The Maryland DNR has just announced this year’s Young of the Year (YOY) index, a measurement of the number of young striped bass born each spring in the Maryland portion of Chesapeake Bay. The index was measured at 3.2 – being the average number of fish taken in each haul of the seine – which compares to the long term average of 11.7. Maryland biologists assert that this is no cause for alarm since there is a long history of variability among year-classes. Still the graph below shows that 4 of the best 5 YOY indexes ever recorded occurred in the past 15 years yet only one year in the last seven (2003) has been significantly above the long term average, while three have been alarmingly lower. This is hardly the sign of the fully recovered fishery being trumpeted by fishery managers. The mega spawning years of 1989, 1993,1996, and 2001 haven’t been remotely approached in the last 7 years. Those big years should have produced an abundance in the spawning stock biomass, yet the recent stock assessment released by the ASFMC confirms that this too is declining. Today’s catch levels and quotas are based on a theoretical abundance of fish from the 90s. The problem is that this abundance seems to be mostly theoretical. Despite the clear downtrend in the population numbers and the distressingly low replacement rate, absolutely no one is talking about reductions in quotas. It is certainly cause for concern. The really scary thing is, not only are managers not talking about reducing harvest - they're actively increasing it. I attended the ASMFC meeting in DE last week and after getting up and speaking in favor of reduced mortality and a more careful approach to management in general, I had to sit and watch as the council voted in favor of three new (admittedly small) harvest increases. To add insult to injury, Maine voted in favor of one of these increases - despite the worst season in over a decade. 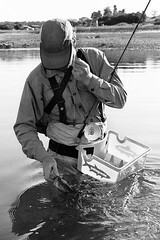 It'll take either a full blown crash or a huge uprising from anglers to bring about any management change. Thanks for the information Matt. Any idea why the managers feel that a harvest increase is warranted? Was there any discussion surrounding menhaden harvests? I wasn't able to take the time off of work to stay for the menhaden section. Species are all managed independently, so menhaden wouldn't be discussed at a striper section meeting. Brilliant, I know. I got the impression that there's blind faith in the models and numbers that're used to produce the stock assessments, so they don't really look at the on the ground information. 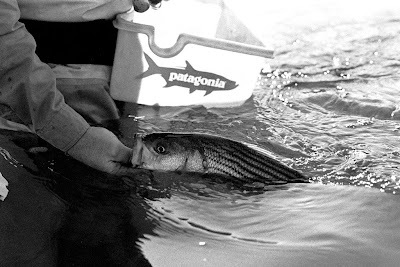 Add that to the fact that the states in the center of the striped bass' range are still seeing good fishing, and most of the managers seem to feel like the striped bass are doing great. There were a number of remarks about how well things are going and how managers ought to be paying less attention to stripers and more attention to the species that are in worse shape. The root of the problem is that the whole system is set up to be reactive, rather than proactive. The managers aren't required to do anything until after it's proven that stripers are in trouble, so they won't. Thanks for taking the time to make a difference Matt. Remain vocal. Let me know how I can help.